Bernie Ecclestone doubts Liberty Media's ability to deliver a second US grand prix on the streets of Miami. Plans for the Miami race have fallen through for now, but Formula 1 owner Liberty insists it has not given up. "It will never happen," former F1 supremo Ecclestone told Speed Week. And "I think the Americans always want a guarantee not to lose money", he added. Ecclestone said Liberty is "in too much of a hurry with all these new races". "When they came in, they said 'We'll have 25 races, six of them in America'. But they don't know how to do it," he insisted. Bringing a very different kind of noise to Miami ?? "So I let it go. 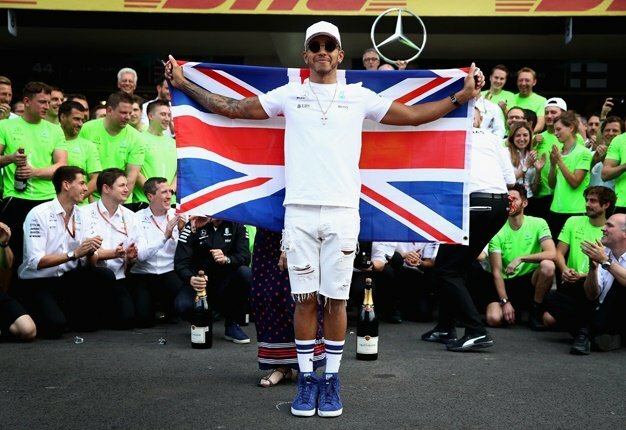 If you tell people about F1 there, they don't have a clue what you're talking about," the Briton said. "Whether it's right or wrong, I don't know. Everywhere is the right place, as long as people come to the track or turn on the TV," said Ecclestone. "We looked at it years ago. It's too complicated, too many restrictions," he said. "We had so many meetings and in the end the difference was three million pounds. I said 'That's the cost of the bottled water at the meetings we still need to have. So let's just forget the whole thing'," he added.